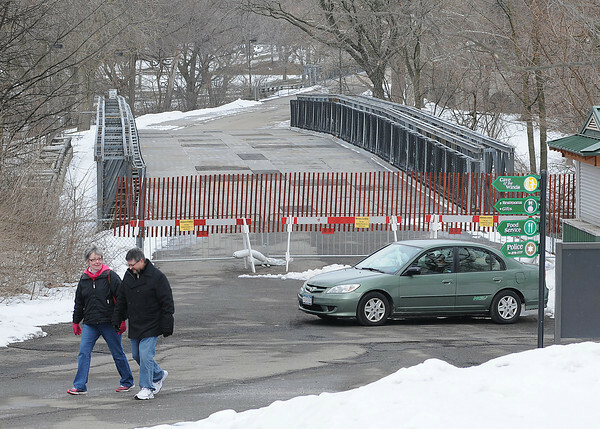 James Neiss/staff photographerNiagara Falls, NY - Tourists are being turned away from the two pedestrian bridges that are closed to traffic because of deterioration issues. The State DOT is working with park officials to complete an analysis of the problems. A statement from the park said, the trolley service will be free between 9 a.m and 5 p.m. daily. Here, the original bridge was constructed in 1901, with the temporary structure put in place in 2004.